SpongeBob SquarePants creator Stephen Hillenburg died last year, giving way to tides of tributes and a renewed appreciation for just how groundbreaking the animator’s vision truly was. In the wake of his passing, a Change.org petition . 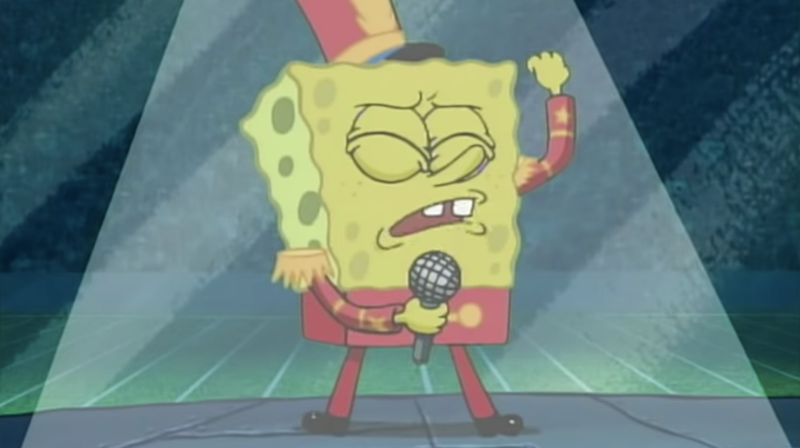 urged fans to rally behind a Super Bowl halftime show performance of “Sweet Victory,” the muscular, Halen-esque anthem SpongeBob belts at Bikini Bottom’s Bubble Bowl. Currently, the petition sports more than 1.1 million signatures, and some are speculating that Maroon 5, who just so happen to be playing the Super Bowl halftime show, might be responsible for a few of them. SpongeBob, you see, makes a brief cameo in a promotional clip the band posted to Twitter. The only cartoon in a sea of hyperkinetic concert footage, he appears roughly 32 seconds in. Curious, no? Joining Maroon 5 will be hip-hop royals Travis Scott and Big Boi, who, in this dream scenario, will assume the roles of Patrick and Squidward, respectively. Hey, it’s not too crazy. Rappers love SpongeBob.